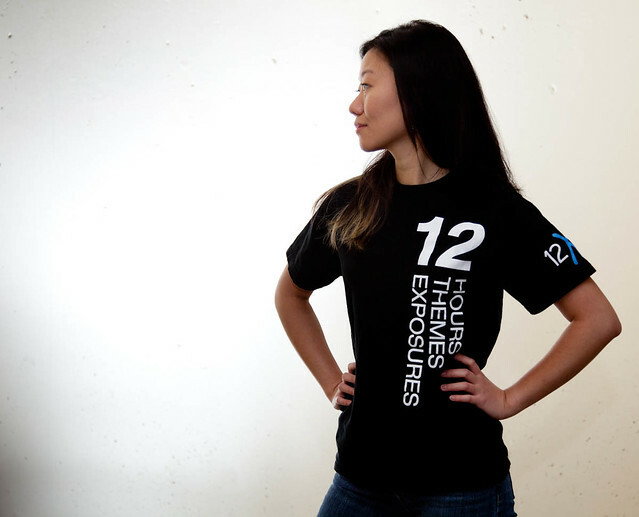 Finally, after way too long, they are here: The Official 12×12 Vancouver Photo Marathon t-shirts. And you can get one (or two, or three) of your very own. Just visit our store and place your order. This first extremely limited run is printed on black Gildan Ultra Cotton shirts in sizes S, M, L and XL. They are all men’s sizes but as you can see from the picture of Anny it fits women too. 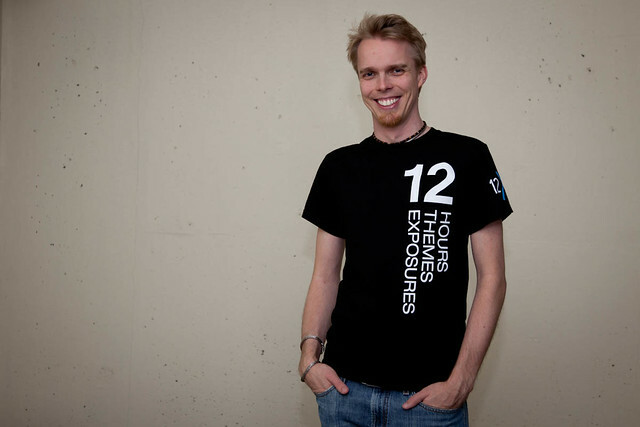 The design features the text “12 HOURS THEMES EXPOSURES” on the front left in white, the 12×12 logo in white and blue on the left sleeve and the text “www.vancouverphotomarathon.com” across the back. We have very limited quantities of these shirts in house and once they’re gone, they’re gone. The next run of shirts will not be done until 12×12 2011. 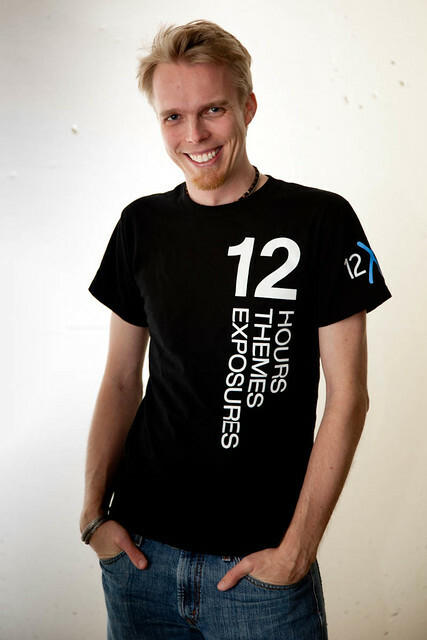 T-shirts can be purchased with tickets for 12x12yvr 2011.